Our thanks to 'Friends of Autism and ADHD' for presenting us with a 'Buddy Bench' for the school. The bench is the work of the men's shed in Balbriggan and we thank them for this fantastic new addition to the school. 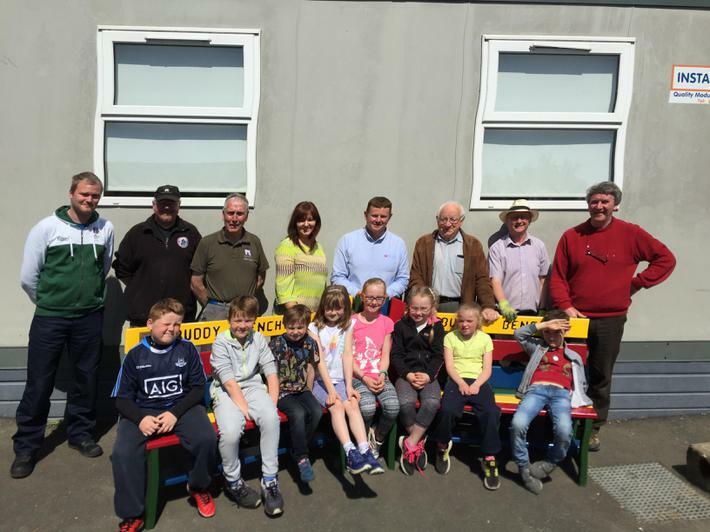 The photo below shows children from Junior-Sixth class, Principal Johnny Tyndall, Sonya McGarry from 'Friends of Autism' and the gentlemen of Balbriggan Men's Shed.